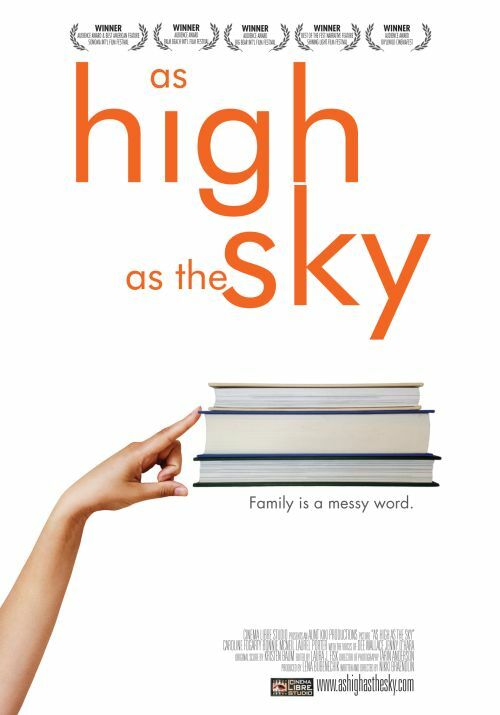 As High as the Sky, writer-director Nikki Braendlin’s debut feature film, is a delightful and often touching film. A clever opening credits sequence featuring Margaret fussing about her home leads to a series of slightly off-kilter moments, lightly humorous revelations and two unseen but frequently-heard aunts who have nothing nice to say about anyone or anything, except a pair of really lovely sconces they got at a very good price. Margaret is exactly the kind of character who is fun to watch but would be a terror in real life; you’d spend every moment plotting to distract her with a misplaced salad fork so you could sneak out the back way. Her sister Josephine is more fun, certainly, but just as tiring, working hard to maintain adventure and whimsy in a way that can’t help but be a little irritating. For both, their behaviors are long-standing manifestations of a world they cannot control. Theirs is a world full of loss: boyfriends leave, dogs run away and parents die, while memories of better times constantly threaten to topple even the strongest emotional defense mechanisms. Much of the humor and beauty in As High as the Sky is due to Tarin Anderson’s expert cinematography. Margaret’s home, where the entire film takes place, is awash in a bright but forgiving light, touches of orange highlighting her décor and wardrobe. It’s a somewhat ironic color considering Margaret’s lack of either fun or spark, but also, not coincidentally, it’s a color that almost exactly matches the tone of her own hair. It doesn’t take a psychoanalyst to know that when she’s searching for perfection in her home, she’s searching for perfection in herself. Things proceed pretty much as one would expect for most of the film; the joy here is not in the story as much as it is in the performances of the three leads. There’s a twist late in the third act that is a genuine surprise, and the drama dovetails nicely into the film without overplaying its hand. Despite a few tired stereotypes and a slightly forced finale that, apparently unintentionally, delves into dark humor, As High as the Sky remains a gentle family comedy and solid character study about survival and strength.